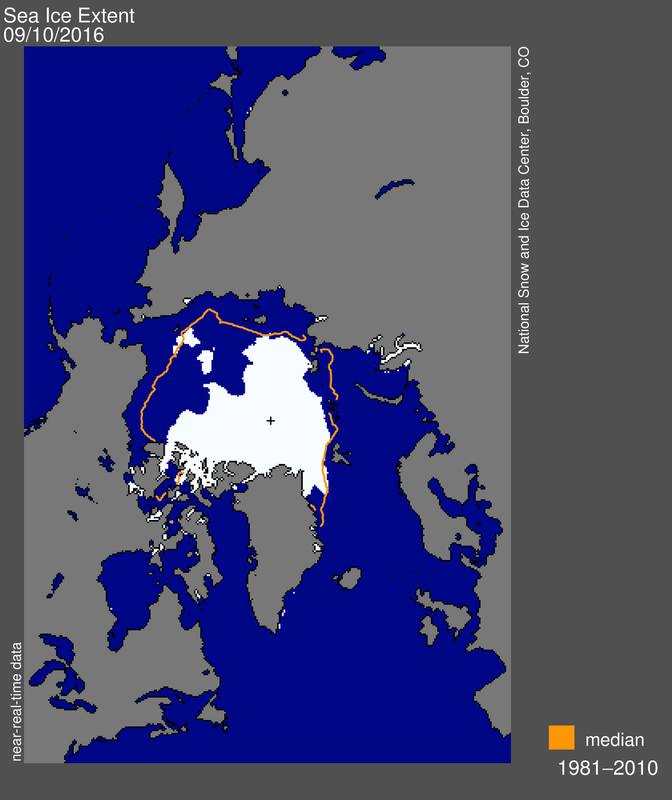 On September 10, Arctic sea ice extent stood at 4.14 million square kilometers. This appears to have been the lowest extent of the year and is tied with 2007 as the second lowest extent on record. This year’s minimum extent is 750,000 square kilometers above the record low set in 2012 and is well below the two standard deviation range for the 37-year satellite record. Satellite data show extensive areas of open water in the Beaufort and Chukchi seas, and in the Laptev and East Siberian seas. 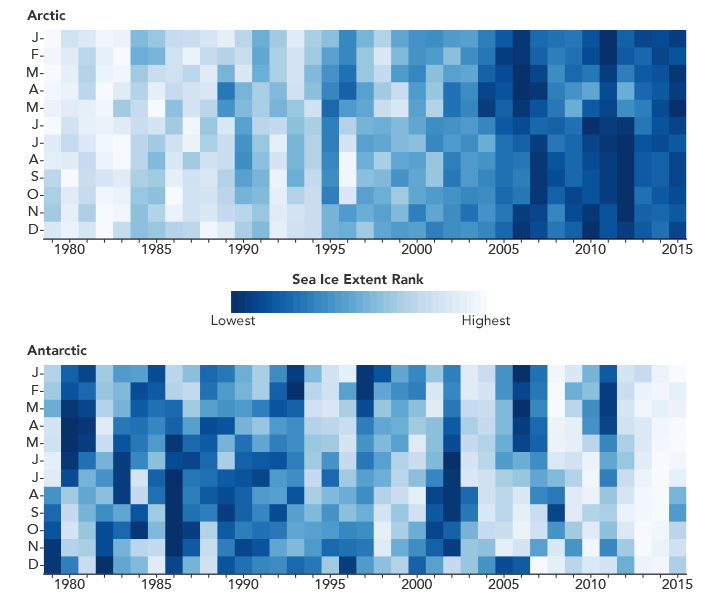 An analysis by Claire Parkinson and Nicolo DiGirolamo of NASA Goddard ranked 37 years of monthly sea ice extents in the Arctic and Antarctic. 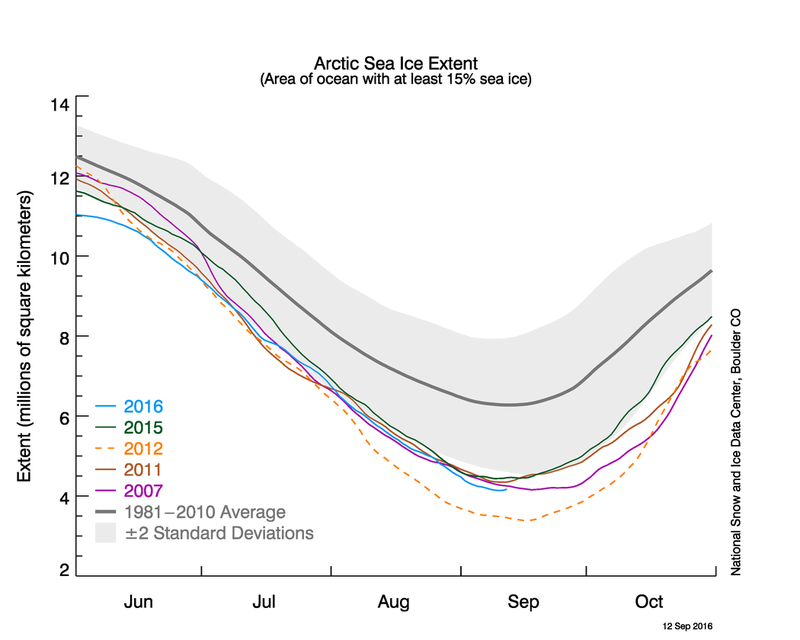 They found that there has not been a record high in Arctic sea ice extent in any month since 1986. During that same period, there have been 75 new record lows. That pattern is reflected in the graph below.